1. Heat 1 tblsp olive oil in a non-stick pan over medium flame. 2. Add the chopped brinjals, red chillies, garlic, 1/2 tblsp vinegar, sugar, salt and pepper powder. 3. 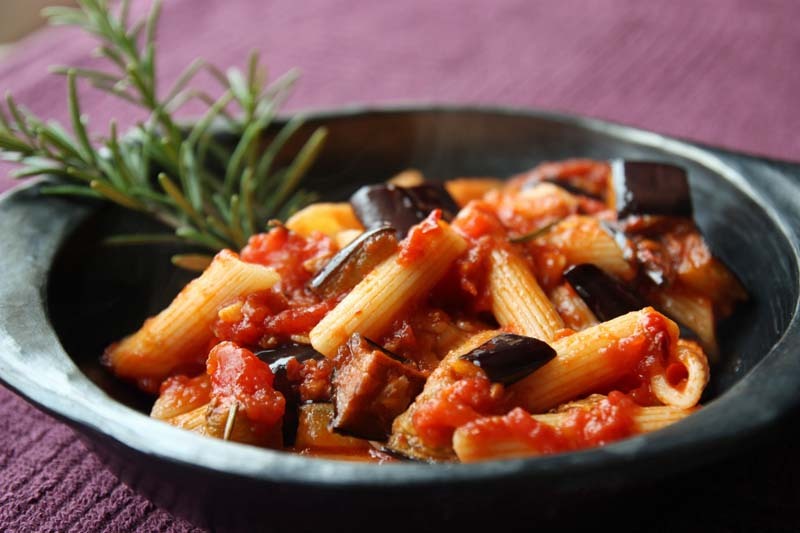 Stir-fry for 15 to 20 minutes or until the brinjals are golden and cooked through. 4. Add the cherry tomatoes and cook for another 2 to 3 minutes. 5. Add the drained pasta, tomato puree, 1 tblsp oil and 1/2 tblsp vinegar. 6. Toss well until evenly combined. 7. Garnish with basil leaves and cheese. 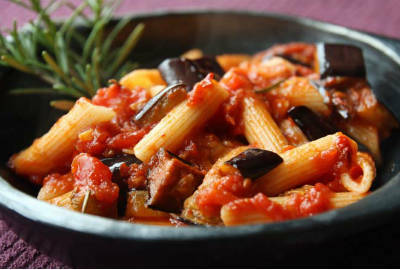 Feel free to comment or share your thoughts on this Eggplant Pasta Recipe from Awesome Cuisine.